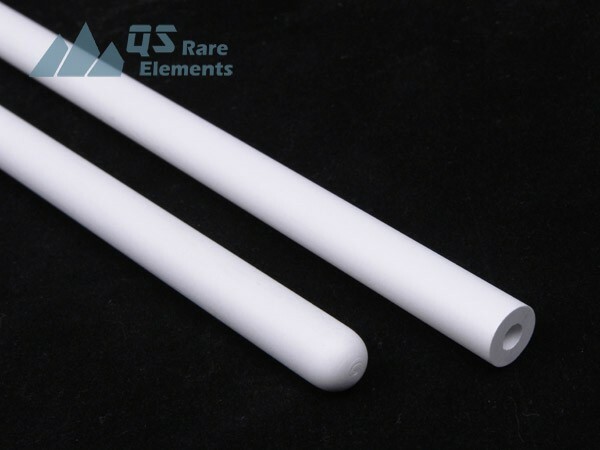 Due to the low wettability of metal and resistivity to high temperature, boron nitride is frequently used to make thermal couple protectors or insulators. 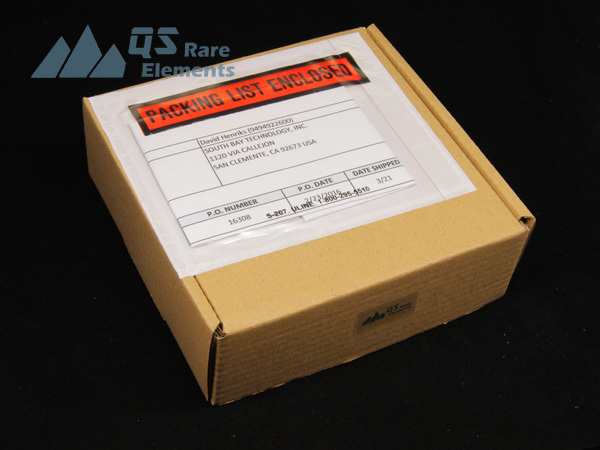 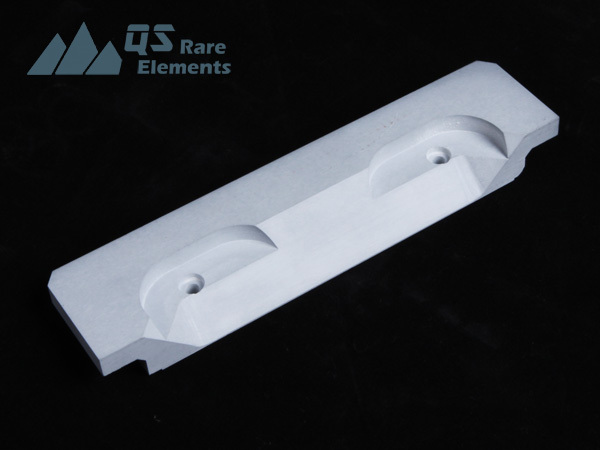 QSRE provide the full machining service for boron nitride materials including the insulators. 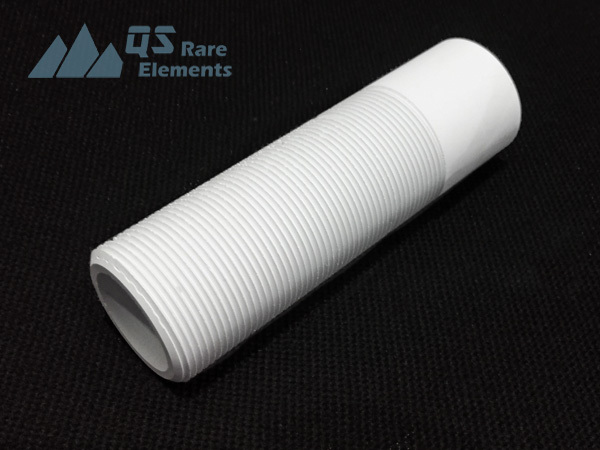 Our deep hole drilling capability could provide the availability for BN insulators with the same length of the raw hot pressed BN blanks. 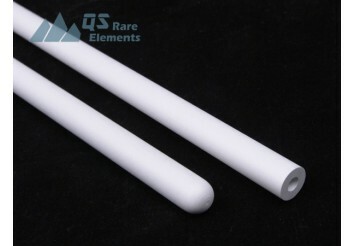 The round tip also provide a better thermal conduct performance. 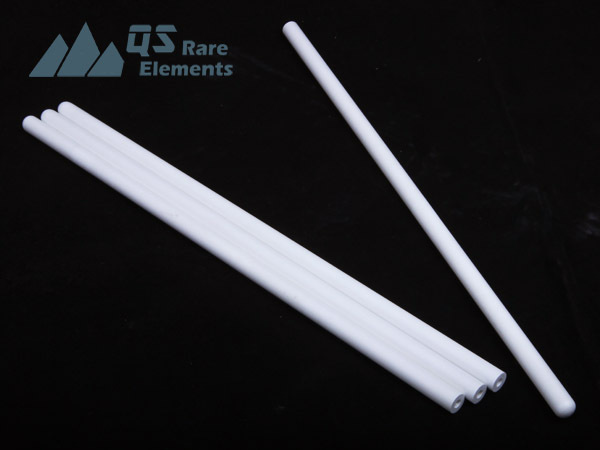 Although boron nitride material could be physically enhanced by adding some other ceramics, such as CaO (HBN), ZrO2(ZCBN) or AlN (AlN-BN), high purity boron nitride could withstand higher temperature in inert atmosphere than the composite/enhanced material. 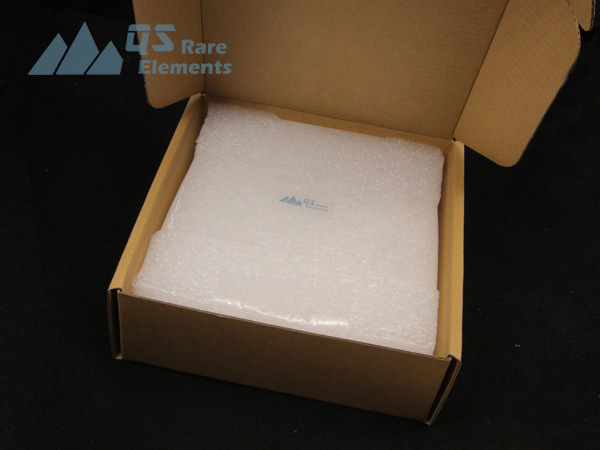 However, the enhanced material usually have better wear resistivity and better performance in air. 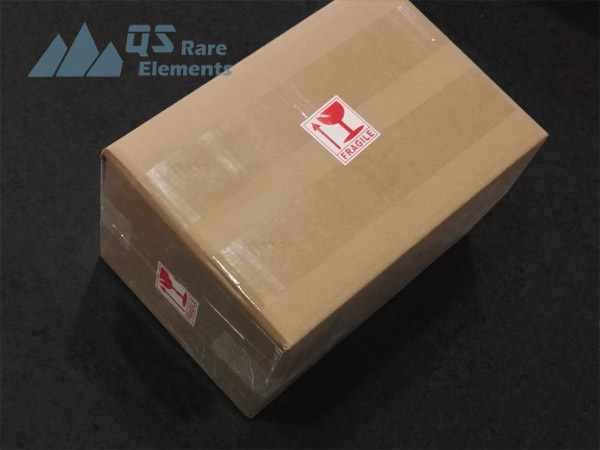 Due to the low wettability with metals and high thermal conductivity, boron nitride is an ideal material to serve as an insulator and seal electronics that need to work with molten metals inside, especially for high purity material metal in vacuum. 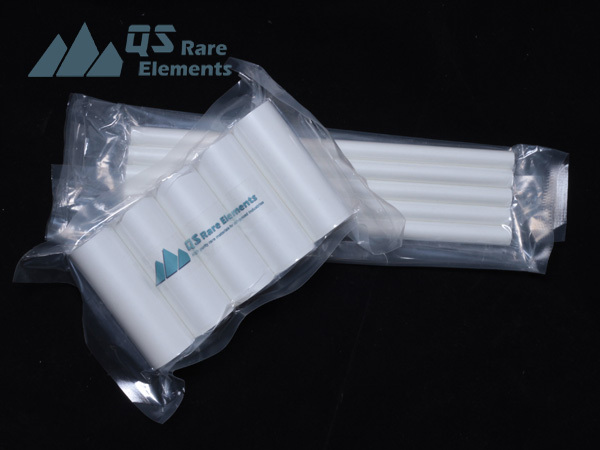 For insulators, the typical boron nitride insulators are smaller than 12" dia x 16" length due to the limitation of our equipment and stocked materials. 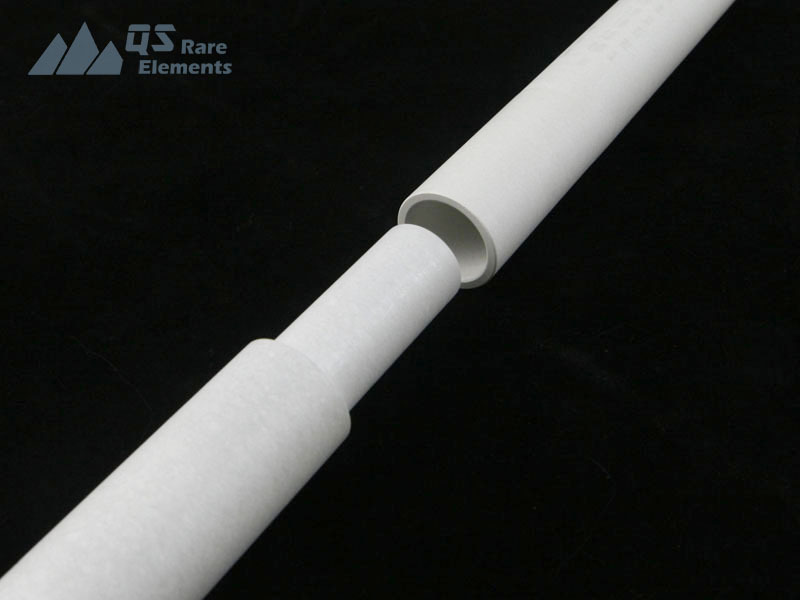 Large BN insulators could be built by connecting shorter tubes together, with staged joint presented below or threaded joint.